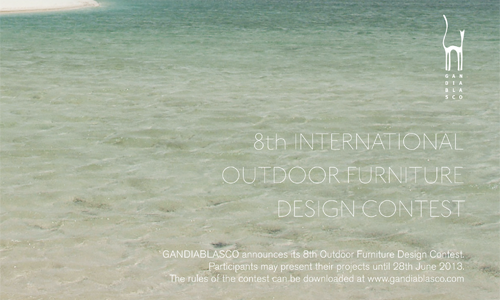 Gandiablasco announces its 8th International Outdoor Furniture Design Contest. Entrants are required to submit a design for an outdoor extending table. The projects must be industrially reproducible. The use of wood is excluded. Designs must be original and must not been entered in any other competitions or previously published. Entrants will be able to make any necessary enquiries up to 28/06/2013 via e-mail address gbconcurso@gandiablasco.com.